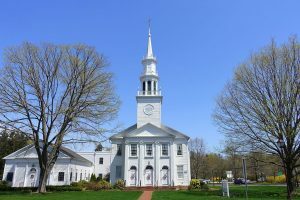 A microgrid project underway in Avon, Connecticut last week entered the RFP phase, with town government seeking design proposals. Avon plans to install the microgrid to serve nine town buildings, including police, fire and town offices, and wants the flexibity to possibly expand the project to the nearby Avon Village Center. Where technically and economically feasible, the microgrid will use green and efficient energy, such as solar, micro combined heat and power, fuel cells or battery storage, the RFP says. In addition to offering a microgrid design, the bid winner also will help the town apply for funds through the Connecticut microgrid grant program, which has made $30 million available in its third funding round. In the first two rounds, Connecticut awarded $23 million for community microgrids. Avon intends to finance the microgrid project through a power purchase agreement, which spares the town from making an upfront capital investment. The town would make only monthly energy payments for the electricity produced. Avon hopes to offset some of the cost by securing zero emissions renewable energy credits (ZRECs) or low emission renewable energy credits (LRECs) through an auction by local utility Eversource. Avon told bidders to assume ZREC or LREC prices of about $.07/kWh for 15 years. For back-up power, the policy department now uses a 125-kW diesel generator and the fire company a 55-kW diesel generator. In evaluating the proposals, Avon will consider the experience and qualification of the bidder, along with their technical approach, in-house capabilities, financial terms and ability to install the microgrid promptly. Preference will be given to microgrid project designs that incorporate renewables, green materials, and conserve water and energy resources. Proposals are due June 30. Avon expects to select a winner July 31 and sign a contract by August 31. The RFP (#1617-10) is downloadable from the town of Avon’s website. Track microgrid project RFPs by becoming a Microgrid Knowledge subscriber. It’s free. It is very important for the public to fully understand what is a microgrid system.Any microgrid must be a independent renewable energy source provider.This is not just a thing that you can have some renewable energy source backup by fossil fuel source that people think is a nice business to get into.This is a new paradigm in which developing renewable energy technology will leap forward and generate 24/7 -365 stand alone energy.So until this happens there is no real microgrid.Lest we forget the whole microgrid and renewable energy concept came about because of climate mitigation and energy decentralization.The conclusion of the matter is to protect against main grid failure and disaster of any kind.